After the fun I had during the last two tours last year, this is going to be my first tour for the year. 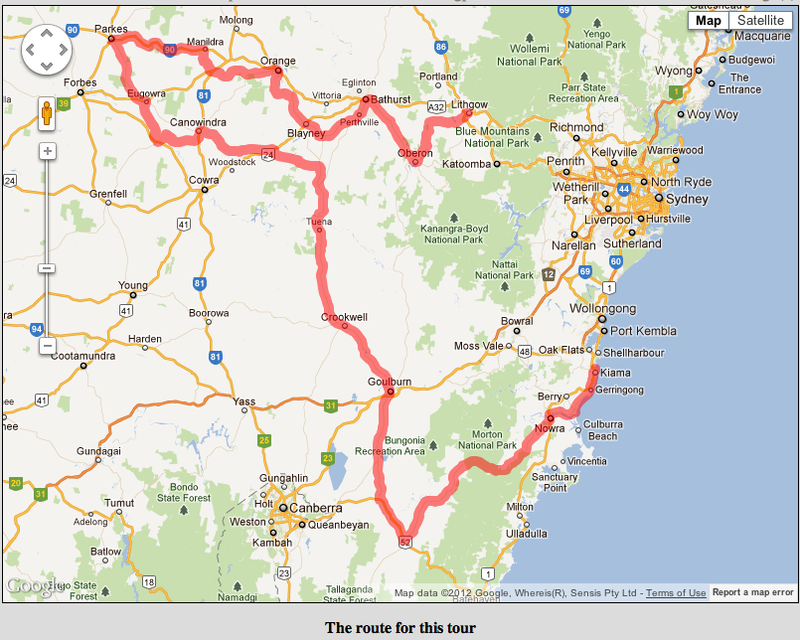 This trip I'll be starting in Kiama. Then I'll be going inland towards Goulburn and then finishing in Lithgow, in a roundabout sort of way. 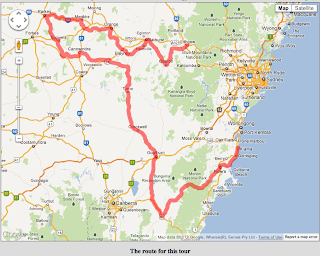 Hopefully will get to see some wonderful scenery and great country towns along the way. The bike is pretty much the same as on the last trips. Have changed out the rear rack for a nice Tubus one. Feels a lot more secure than the old rack it replaced. Also got the rear wheel rebuilt, as the spokes were breaking even when the bike wasn't loaded. So now the rear wheel has a nice new hub and spokes. Feels very smooth to ride.